Bling-obsessed nail techs can now integrate the luxury of Swarovski into their services with Crystal Pixie. 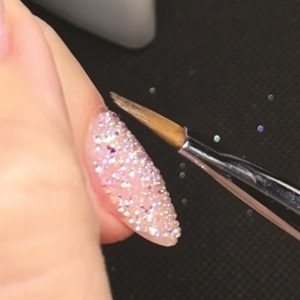 To give bling-obsessed nail techs the opportunity to integrate the luxury of Swarovski into their services, Swarovski has also introduced a new product made specifically for nails. 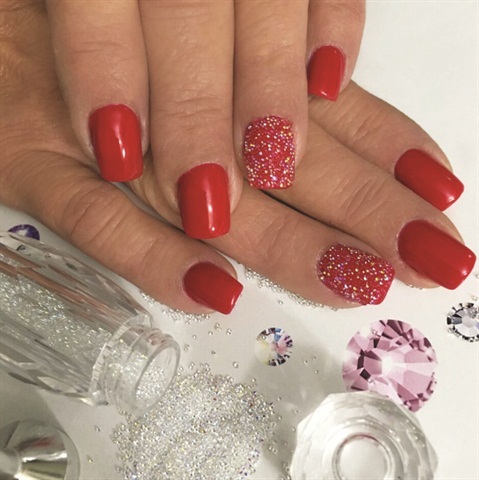 Crystal Pixie is available in four colors and consists of tiny particles of round crystals mixed with tiny cut crystals which add a beautiful shine to nails. The tiny crystals can be applied as an overlay to the entire nail or you can add them one by one to complement any crystal design. 1. Prep the nail and keep it thin because the product will add thickness to the nail which will also give it strength. For enhancements, thin out the nail slightly prior to application of Pixie. 2. Apply one thin layer of Akzéntz Pro-Formance Adhere and cure. Apply Akzéntz Enhance Pink and cure. 3. Apply a layer of Akzéntz Bling On. Do not cure. 4. Sprinkle Crystal Pixie over the uncured layer of gel. Make sure to rotate the nail to distribute the crystals evenly on the entire nail. 5. 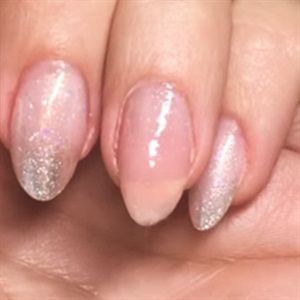 Remove any excess Pixie from the edges of the nail and tuck any stragglers inward to avoid the cuticle and the free edge. 6. Gently pat down the crystals with a clean dry brush to set and secure the crystals in the gel for a smooth layer. Cure. Cap the outer edges with Akzéntz Shine-On. Cure. To see this step-by-step in action, click here. 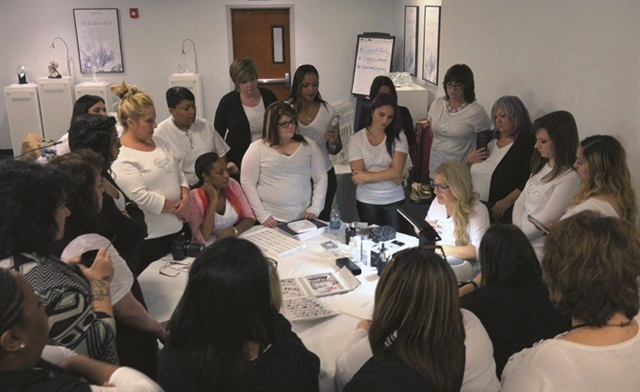 For information on Swarovski application courses, visit Crystal Culture's website.